The Riverpark Lined Tie Up Curtain features a medium scale Jacobean floral pattern in shades of green, yellow, turquoise, and lavender, on a neutral textured background. 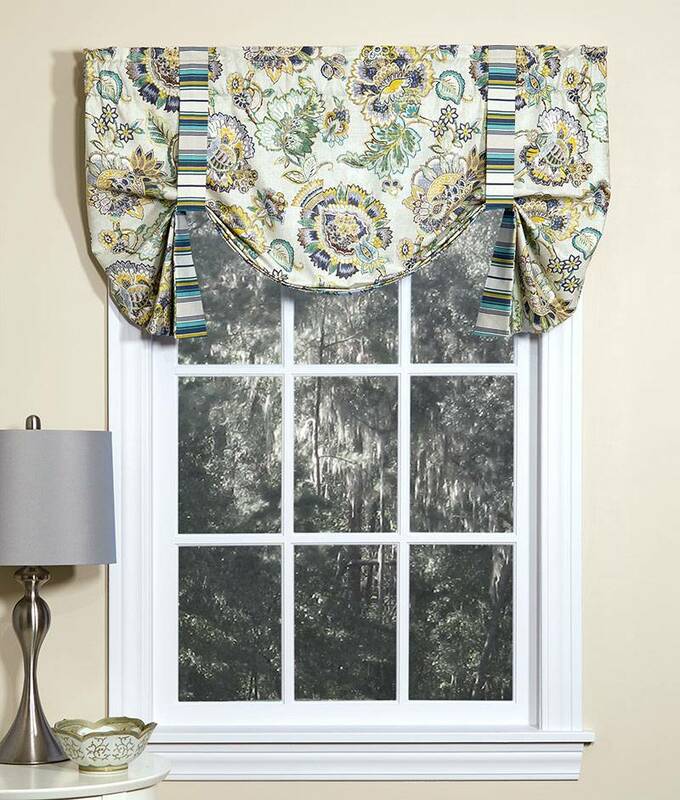 Substantial in weight, this beautiful window treatment is printed on an all cotton base cloth. The straps pair a multi color stripe fabric and are sewn at a fixed height of 14" (straps are not adjustable). Riverpark Tie Up Curtains are designed to be hung on a single window, and are recommended for windows up to 44" wide. Fully lined for protection from harsh sun. Handcrafted in the USA.